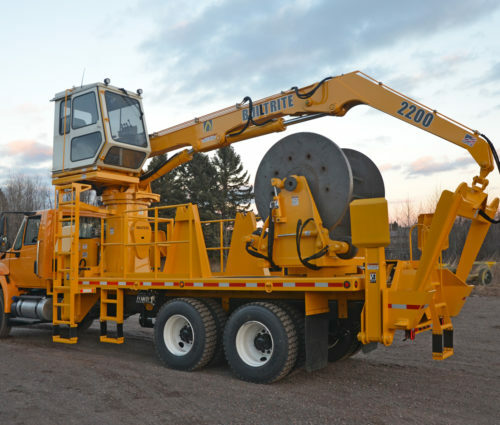 Due to our proximity to the iron ore industry in Minnesota and Upper Michigan, we were asked to provide a truck mounted loader to assist mines in laying, retrieving and moving their electrical cable, which is used to deliver power to their mining shovels. In response, we modified our Model 2200-TM, truck mounted loader to meet this need. The result, the Model 2200-CRH Cable Reel Handler, produces a major time savings and most importantly, a much safer operation.